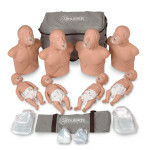 First Aid Store™ offers the Simulaids STAT Baby to bring you the most lifelike simulator for infant care by utilizing new materials for tactile awareness during patient assessment. 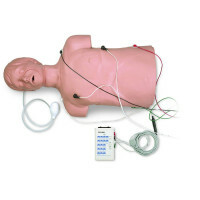 Realism in pediatric training no longer crawls at old technology rates. 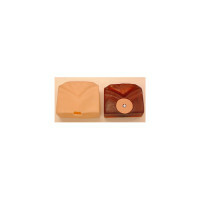 STAT Baby brings you the most lifelike simulator for infant care by utilizing new materials for tactile awareness during patient assessment. Developed in conjunction with leading pediatric physician involvement, this baby contains a wide range of skill sets in a simple format that is affordable to all. The infant is sized to a 9-month-old and weighs 18 lbs. The size, heft, and feel of this child stirs the emotions when you pick it up. 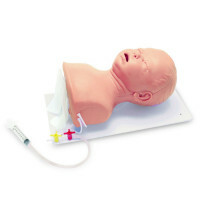 The Stat Baby is supplied with accessories that include IV vein kit, complete set of extremity skins, pneumothorax sites (4), injection site (2), Picc line site (1), reservoir bag (4), defibrillator adapters, ECG interactive simulator, and simulated blood powder (1). The Simulaids STAT Baby - Training for Life.